Over the course of this blog, I’ve made no secret that I love Cooks Illustrated. An embarrassing number of the recipes I’ve discussed come from their magazine and cookbooks. When I want to try a new dish, I check the CI recipe first. Why not? Even if it isn’t exactly what I’m looking for, they discuss the goals for each recipe so clearly that at least I’ll know that their recipe isn’t right for me. But often it is. I’ve made hundreds of their recipes, and about half of those have been the best version of that dish that I’ve ever eaten. Most of the rest have still been great. There’s a very few recipes that I haven’t cared for, but even most of those can be attributed to personal taste. Their Northern Cornbread wasn’t near sweet enough for me (or Dave), but they made up for it with their All-Purpose Cornbread, which is the best I’ve had. But there’s no excuse for this pound cake. I made it the first time a couple of years ago, and it didn’t turn out quite right. I had such faith in CI and I was so used my oven overbrowning things that I was convinced the problem wasn’t with the recipe. I tried the same recipe (different oven) recently, but it didn’t rise much at all. I was exceedingly careful with the recipe – I tested the temperature of the butter before starting, and checked the temperature of the oven with an oven thermometer. Still, I decided that the error must have been mine, especially because the recipe was designed specifically to be foolproof. So I tried again. Same result. See this picture from their website? This flat (they call it “bad”) cake is exactly what mine looked like. CI states that a “flat and dense” pound cake will result if the butter is too warm and the batter is overbeaten. But I took the temperature of the butter before starting! And I followed the mixing times and cues in the recipe! And, by the way, I’m a good baker. And I was careful. I’m blaming the recipe. It’s missing an ingredient which is in most other pound cake recipes that I’ve seen – baking powder. However, I’ve seen a few blog entries with reviews for these pound cakes which have called the cakes dry. I did not want a dry pound cake. 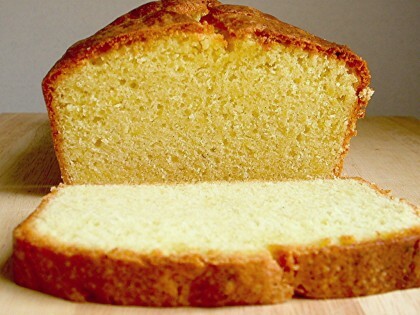 I wanted a rich and tender and buttery and moist pound cake. And I already had a rich and buttery and dense pound cake. So I didn’t want to start with a whole new recipe. And there was another thing holding me to this recipe – the batter is possibly the best I’ve ever eaten. Ever. And this is from someone who makes chocolate chip cookies just for the dough. I think this batter may be better than cookie dough. I didn’t want to lose that. So I tweaked the recipe I’d been using. I simply added ½ teaspoon of baking powder with the flour. And, oh my gosh, if this isn’t now a completely fantastic dessert. Every bite I took of this adapted pound cake was delightful. It’s buttery, it’s tender, it’s not a bit dry, and it’s not a brick of cake. The best part was the top crust, which was all of those things plus caramelized. I’m considering adding an additional ¼ teaspoon baking powder next time, but it’s not really necessary. I’m perfectly happy with this cake as it is. Just don’t trust the original recipe. 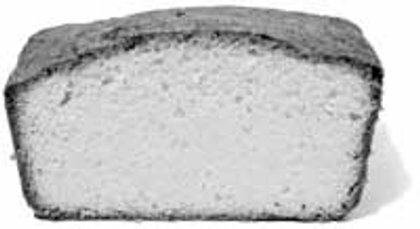 CI note: As directed in the recipe, the butter and eggs should be the first ingredients prepared so they have a chance to stand at room temperature and lose their chill while the oven heats, the loaf pan is greased and floured, and the other ingredients are measured. Leftover cake will keep reasonably well for up to 3 days if wrapped tightly in plastic wrap and stored at room temperature. Bridget note: Add baking powder with the flour! ½ to ¾ teaspoon of it. I also added the seeds of one Tahitian vanilla bean with the eggs and vanilla extract. 1. Cut butter into 1-tablespoon pieces and place in bowl of standing mixer; let stand at room temperature 20 to 30 minutes to soften slightly (butter should reach no more than 60 degrees). Using dinner fork, beat eggs, egg yolks, and vanilla in liquid measuring cup until combined. Let egg mixture stand at room temperature until ready to use. 2. Adjust oven rack to middle position and heat oven to 325 degrees. Generously butter 9 by 5-inch loaf pan; dust pan liberally with flour and knock out excess. 3. 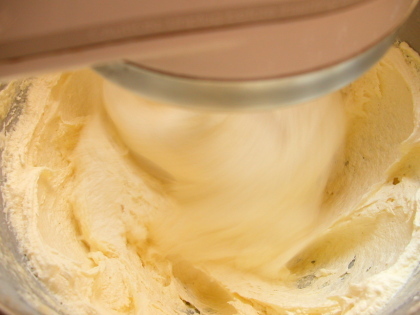 In standing mixer fitted with flat beater, beat butter and salt at medium-high speed until shiny, smooth, and creamy, 2 to 3 minutes, scraping bottom and sides of bowl once with rubber spatula. Reduce speed to medium; with mixer running, gradually pour in sugar (this should take about 60 seconds). Once all sugar is added, increase speed to medium-high and beat until mixture is fluffy and almost white in color, 5 to 8 minutes, scraping bottom and sides of bowl once. With mixer running at medium speed, gradually add egg mixture in slow, steady stream; this should take 60 to 90 seconds. Scrape bottom and sides of bowl; beat mixture at medium-high speed until light and fluffy, 3 to 4 minutes (mixture may look slightly broken). Remove bowl from mixer; scrape bottom and sides. 4. In 3 additions, sift flour over butter/egg mixture; after each addition, fold gently with rubber spatula until combined. Scrape along bottom of bowl to ensure that batter is homogenous. 5. Transfer batter to prepared loaf pan and smooth surface with rubber spatula. Bake until golden brown and wooden skewer inserted into center of cake comes out clean, about 70 to 80 minutes. Cool cake in pan on wire rack for 15 minutes; invert cake onto wire rack, then turn cake right side up. Cool cake on rack to room temperature, about 2 hours. Slice and serve. Your pound cake looks wonderful. Congrats for sticking with the recipe and making it perfect. Maybe CI needs to hire you! Good for you for making it work for you!!! It looks absolutely delicious! No kidding, Bridget. Your photography is pretty amazing. Not being that much of a cook, I still love looking at the images you post. They never fail to get me salivating. 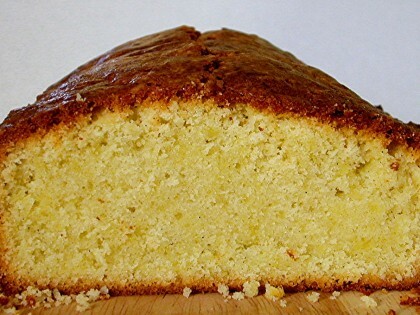 This is a great pound cake. My family loves it! I make it at least 4 times a month. Thanks! 1. The butter has to be COMPLETELY softened. A butter knife dropped on a stick of butter should slide completely through the butter in its center. This means the butter needs to be at about 70-72 degrees F.
2. The sugar needs to be super super fine (grind up regular sugar in a food processor or blender). 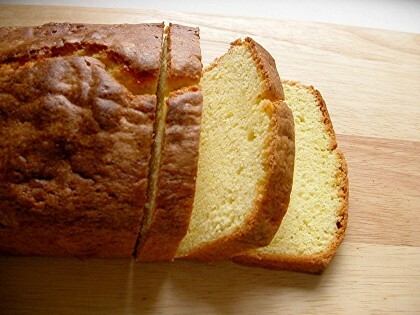 Indeed, my favorite pound cake recipe uses confectioner’s sugar rather than granulated; this produces the lightest and most tender pound cake without the use of chemical leaveners. 3. The eggs need to be completely warm. I warm them in hot tap water for about 10 minutes before cracking. 4. When creaming the sugar into the butter, the creaming process needs to last for 3-4 full minutes in order to incorporate enough air into the batter. And the sides of the mixer bowl should be scraped down at least twice during creaming. 5. I firmly believe that pound cakes should be baked in tube pans and not loaf pans. A tube pan allows the heat to penetrate to the center of the batter at the same pace as the heat is penetrating from the outside. This results in a higher and more even rise (and allows the cake to bake completely before it dries out in the oven). I hope these tips help the next time you take on pound cake. I have baked the CI version in its original form, and it has performed beautifully for me when I follow the above 5 baking points. I adsolutely love your blog! I am so glad I found it. This post helped me tremendously when I decided to make this cake. Thank you! Ok I feel pretty dumb. Everyone else seems to know, but what is the baking temperature? I’d love to try this pound cake. Thank you. Bruce – It’s in Step 2 – 325 degrees (Fahrenheit). I hope you enjoy the cake! Hello ! I have a subscription to the Cooks Illustrated magazine itself so it is a source of frustration for me when I cannot access their recipes online unless I sign up yet again for another subscription. They should allow those who already pay for the magazine to read the online information, too. Anyway, thank you for posting this recipe (with corrections, no less!) and the helpful photographs. PokyMcb – I see your point. I coughed up the money and subscribed to the website as well. It’s just so convenient. I enjoyed your story on your website even if I drooled all over my keyboard. Question: Can I bake it in a round cake pan. I need a flat cake for a decoration idea I have for my mother-in-law’s b-day. A loaf shape just won’t work for me. Eric Klassen – I think it’ll be okay in a round pan. Just watch it carefully in the oven, because it won’t need to cook as long. It must have been really frustrating when your cake didn’t work out. I have the same kind of problem, and was wondering if you have any suggestions: I’ve made the same chocolate chip cookie recipe many, many times. They were always beautifully cracked and chewy. But the last three times I’ve made them, they are puffy and cakey, and not cracked at all. It’s driving me nuts because I’ve tried everything! Larger eggs, smaller eggs, cold eggs, room temp. eggs, different brands of ingredients, very soft butter, colder butter, etc. . . I don’t know what I was doing before that I’m not doing now! Adriana – That’s a hard question to answer. Assuming that you’re not using a different oven and your baking soda isn’t expired, I think your best bet is to follow standard baking practice. That means softened but not mushy butter, room temperature eggs, unbleached flour, and dry ingredients weighed instead of measured by volume. That last one sounds like it could really help – measuring flour by volume is notoriously imprecise, and if your cookies are cakey, that might mean you’re using more flour than you used to. You might also want to try folding in the flour instead of mixing it in with a mixer. In fact, I’ve found that this pound cake recipe taught me a lot about baking in general, with the specific temperature of the ingredients and the way they’re combined. I just wanted to say how relieved I was to hear that it wasn’t my fault this pound cake didn’t work. I too love CI and have had many successful recipes. As I was following the recipe I kept thinking I was forgetting the baking power only to check and it wasn’t mentioned. I thought it strange but I plod onward. Needless to say I was extremely disappointed. It came out simply awful. That’s when I did a search on-line for a review. I will certainly try it again with your recommendations. hi! i’ve never made pound cake, but want to. im planning to use this recipe & your added baking powder tip! 🙂 is it super important that the butter is 60 degrees? i dont have a thermometer so i cant measure the temperature & really dont want this cake to be heavy & dense! i also dont have any sort of electric mixer; i have always made my recipes by hand mixing. do you think i can make this recipe by hand too? or will the creamed butter mixture not “fluff” up properly? i heard that if its not fluffy, you’ll end up with a dense pound cake. I am baking this pound cake right now. I can’t wait to see how it turns out. Interesting – i just made this pound cake this weekend, straight from the recipe, and it was risen and fluffy as can be in the loaf pan. I did add about 3 extra tablespoons of egg white AND cooked it at about 345 degrees because I’m at over 7,000 feet and one needs to make some adjustments for drier flour and lighter air up here. I know the one thing I did do is not skimp at all on the butter creaming time – I creamed the butter and sugar for a full five minutes. I was also very careful in the folding in of the flour. Possibly that helped the air bubbles stay in enough for me? CI is “right” and you’re “wrong”. 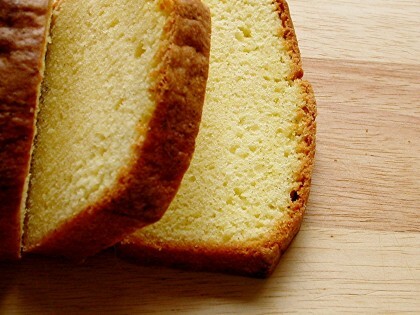 Pound cake does not “need” to be leavened (by adding baking powder). The butter and sugar (and then eggs) have to be beaten together until they’re super light and fluffy. You should mix the butter and sugar together for at least 5 minutes, and then it’s standard to add eggs one at a time, mixing two mins between each egg. Then, fold the dry ingredients in by HAND. The CI recipe is close, the only difference is they have you slowly add the eggs all at once. That could be a problem but I know some cooks do it that way. They do mention folding dry ingredients in by hand, but it may not be clear from the wording (remove from mixer and gently fold in). If you use the mixer to add the flour, it _will_ deflate your cake. 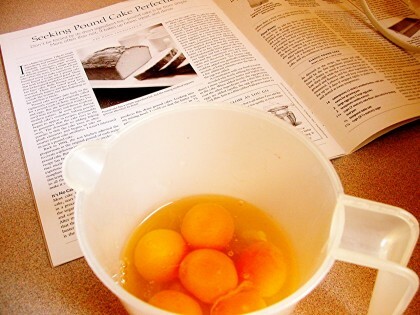 Add eggs one at a time and fold by hand and you can get yourself off the baking powder crutch. I wish I had seen your improvement before I made this pound cake! I also checked the temperature of the butter, the eggs, and the oven, and was super careful folding in the flour. I don’t know what I did wrong! Next time I’m following your suggestion – thanks!